One of Stewart's greatest moments came relatively early on in his tenure in 2004. When he was a guest on the left vs. right political argument show Crossfire, Jon took the opportunity to tear apart the premise of the show on their own air. 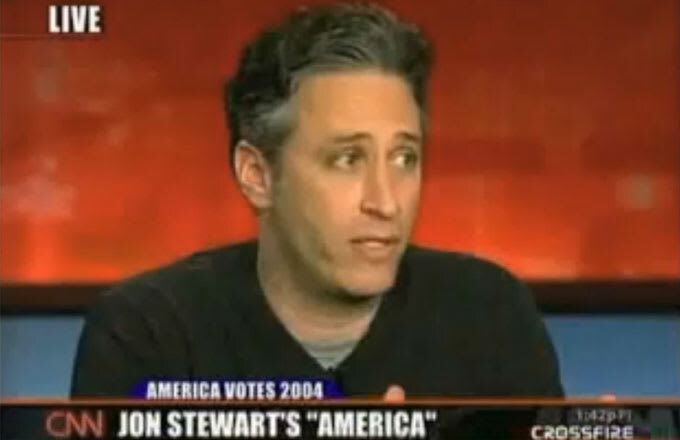 The resulting coverage was such an embarrassment (the YouTube video below has 9 million views) that the show was canceled soon after Stewart's appearance. The show's cancelation resonated across the media landscape. More than a decade later, former Crossfire hosts Tucker Carlson and Paul Begala have been asked to weigh in on Stewart's torpedoing their show. Carlson, for his part, still doesn't understand what Stewart was talking about.